Size – Hail can be small, like the size of a penny, or large, like a baseball. The largest recorded hailstone, which fell in South Dakota, was 7.9 inches in diameter (which is just short of the size of a regulation baseball). But all sizes come down hard and fast, creating dents and holes in everything from buildings to signs to cars and trucks. 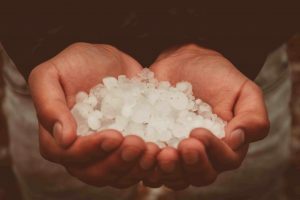 Season – When is hail storm season? Weather.com says the conditions are usually most favorable beginning in March, and then run through September or October. The heaviest storms in our area are usually seen March through May. How has Dallas been affected? Our recent history shows the increasing power of hailstorms in our area. In June of 2012, the Dallas and Fort Worth areas had a severe storm that saw grapefruit-sized hail and resulted in almost $900 million in damage. More recently, the severe hailstorm on June 6, 2018 resulted in $425 million in damage, including affecting an estimated 25,000 vehicles, according to the Dallas Morning News. And on a larger scale, NOAA reported that in 2018, Texas had 508 separate hail reports for the year, which means that we had the most reports for the entire year, topping even the state of Kansas (who had 493 reports). The best way to avoid hail damage to your car is to make sure you park it in a covered structure. While this is not always possible, it’s the one thing you can do to protect the car from dents and paint damage. Another tactic is to use surrounding buildings for protection. If the storm is coming from the west, park on the east side of a building for some cover. While this won’t help completely, it may allow your car to avoid a more serious battering caused by the stronger winds. 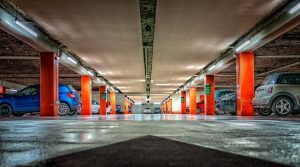 It’s also helpful, in a hail-prone area, to keep a list of parking structures that are covered. This will help if you are driving and a weather alert comes on. You can refer to your list and travel to the facility and avoid further damage. You can also try to cover your car with blankets or floor mats, but be sure they are secured so they don’t fly away. Many people put off repairing their car after a hail storm, but that may cause problems. Besides affecting the appearance of your car, paint damage can lead to rust issues down the road, which may affect the price you receive when you ultimately sell your vehicle. 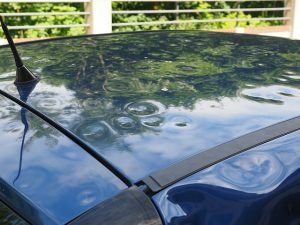 If your car gets hail damage, Dent Mechanic is the first place you should call. Our staff will come to your location and repair the damage efficiently. We provide free inspections, free drop-off and pick-up, free rental vehicles, and we’ll even cover up to $500 of your deductible. Put your wallet away—leave repair costs between your insurer and us.